EAW003748 ENGLAND (1947). Construction of housing at the Southcourt Estate and the town, Aylesbury, from the south, 1947. This image has been produced from a copy-negative. 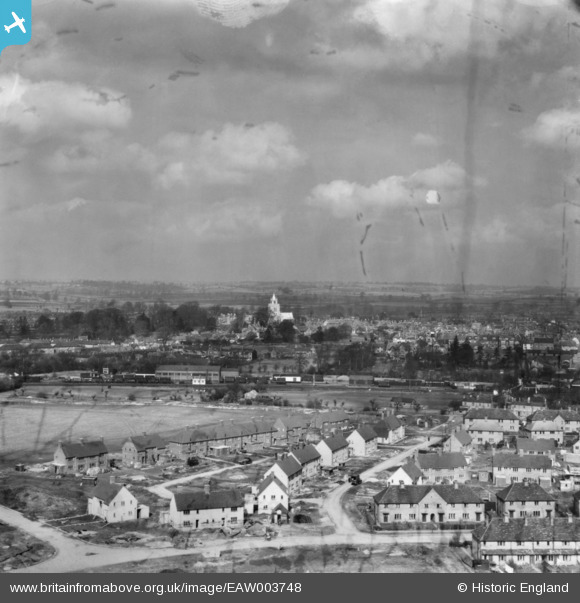 Pennawd [EAW003748] Construction of housing at the Southcourt Estate and the town, Aylesbury, from the south, 1947. This image has been produced from a copy-negative.